Dale spoke to Admiral Sir Philip Jones, First Sea Lord of the Royal Navy, at the event, which was attended by around 150 guests, including employers, MPs and those linked to the Forces. 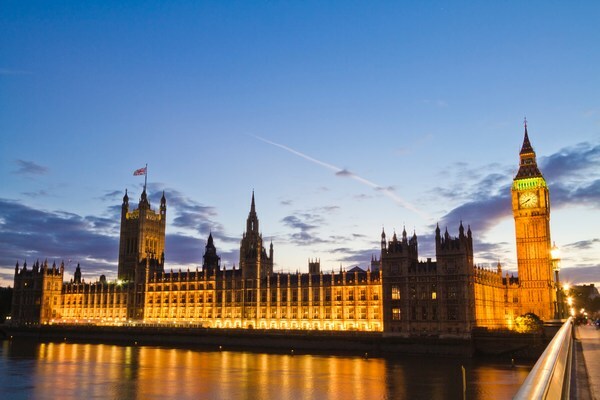 He said: “It was a great afternoon and my first time in the House of Commons. The First Sea Lord came over to me because he saw my uniform, as we're part of the navy. “There were a lot of high ranking people there and we spoke about all the work Bovis Homes is doing with the Reserves. Dale, who has recently been recognised for excellence in his on-site management skills with an NHBC Pride in the Job Quality award at Wootton Park in Wootton, near Bedford, attended with his area build director Marco Sidoli. The reception included a speech by Defence Secretary Gavin Williamson, who called for more specialists such as engineers, chefs and electricians to become reservists. He said: "Reservists play a vital role in our Armed Forces, bringing a huge range of experiences and skills to the defence of our country." Dale is part of the Royal Marines Reserve City of London, and has been a reservist for nearly 30 years. The house builder selected Dale and Marco to represent Bovis Homes after the company received an invite for the event from the Ministry of Defence (MoD). Bovis Homes received the prestigious Silver Award from the MoD Employee Recognition Scheme last year, which is presented to organisations that promote service issues, communicate positively to their staff on the Forces, and support the employment of military people. 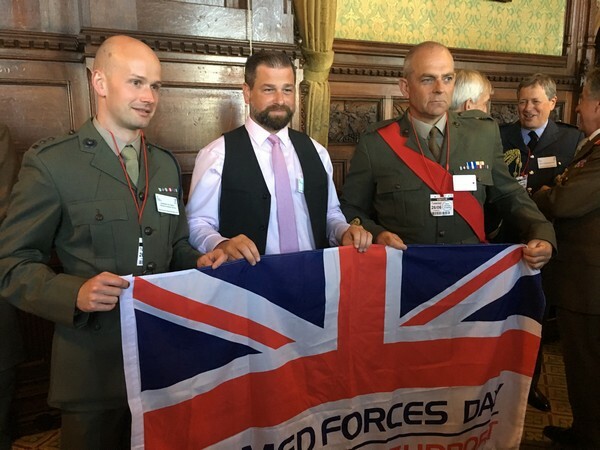 The company is also a signatory of the Armed Forces Covenant, a promise to ensure that those who serve or who have served in the Forces, and their families, are treated fairly. “We are honoured to be part of the Reserves Day Reception and will continue to support the military through our housing, recruitment and fundraising initiatives. “Former military personnel are a great addition to any workforce and we encourage employers to recruit more – the work ethic and knowledge they bring is often unrivalled." Bovis Homes has taken part in the Big Brew Up 2018 this week and aims to raise around £1,000 from across its regions for Armed Forces charity SSAFA. The house builder also offers exclusive Armed Forces schemes to help personnel move on or up the property ladder. Armed Forces Week ended on 30th June with an official Armed Forces Day celebration in North Wales. Events during the week included a military parade, flag-raising ceremony, sporting fixtures and a music concert.